A good wine always has a story behind it. Well, the story behind Ne Oublie is just extraordinary. It all began in 1882 when Andrew James Symington, an 18-year old young man from Scotland, went to Portugal and worked for W &J Graham’s, a general trading firm and port producer. In 1891, Andrew James married Beatrice Atkinson, a lady of English-Portuguese descent whose family had been in the port business since 1652. Andrew James and Beatrice, together with their three sons, focused on restoring port’s position in world markets after World War I. In 1920, Andrew James bought four casks of tawny port made in 1882 from a Douro farmer to commemorate the year of his arrival in Portugal. These casks were then transported by ox cart and boat from the Douro Valley to the cooler Vila Nova de Gaia where the wine could age gracefully. While the family continued to build the port business over the past century, these few barrels of 1882 wine rested silently in the port lodge carefully tended by generations of winemakers, cellar masters and coopers. 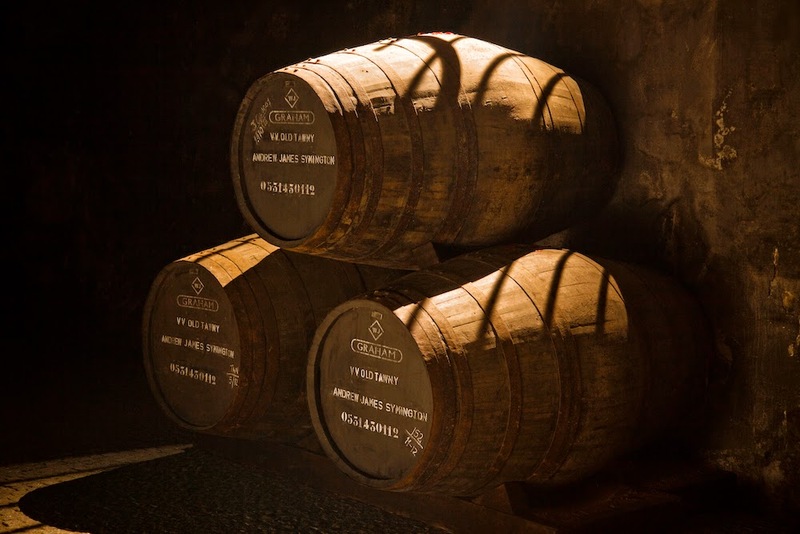 Every year, a small percentage of wine was lost through evaporation—this is known as the angels’ share—and the original four casks were reduced to three. To pay homage to Andrew James, the family has named this 1882 Single Harvest Tawny Port ‘Ne Oublie’, meaning Do Not Forget, after the original Graham family motto and the company where Andrew James started his life’s work. The name reflects the respect with which the family members regard their great-grandparents’ decision to commit themselves and their descendants to Portugal, to the Douro and to Port. Now, four generations and 132 years after Andrew James landed in Portugal, the family has decided to bottle one cask of Ne Oublie. The remaining two casks, stamped and sealed, have been entrusted to the next generation who will decide their future in 2025 at the earliest. 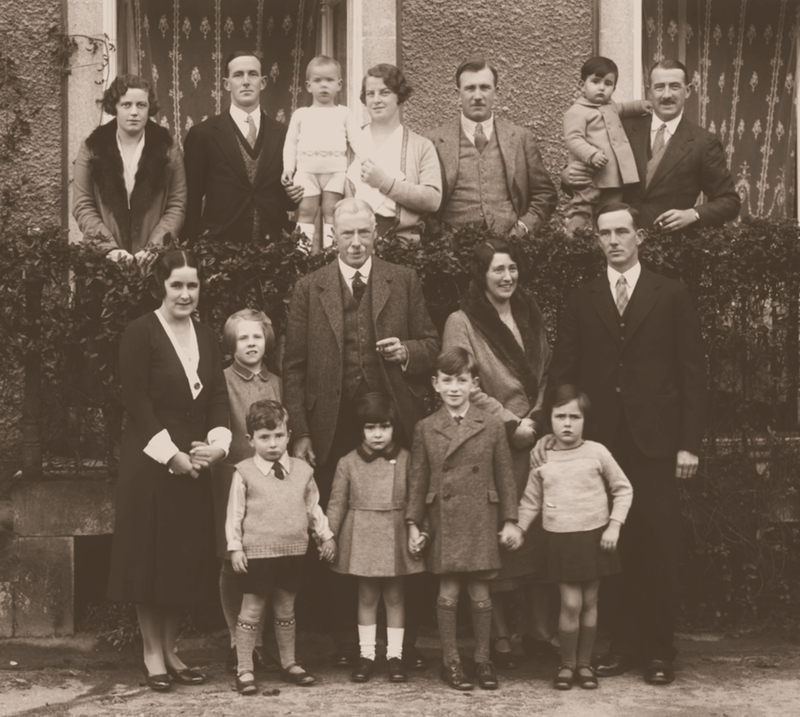 The family believes they owe their success to their Scottish, English and Portuguese heritage–Scottish for a rational and hard-working approach, English for common sense, and Portuguese for a flamboyant and romantic style. Therefore, they see it as only fitting to package these 656 bottles of Ne Oublie with the finest works of these three nations. The wine has been bottled in individually numbered hand-made crystal decanters from Atlantis, a leading Portuguese glass manufacturer. Each one is decorated with three sterling silver bands weighing 250gm, moulded and engraved by renowned Scottish Silversmiths Hayward & Stott and carrying the mark of the Edinburgh Assay Office. 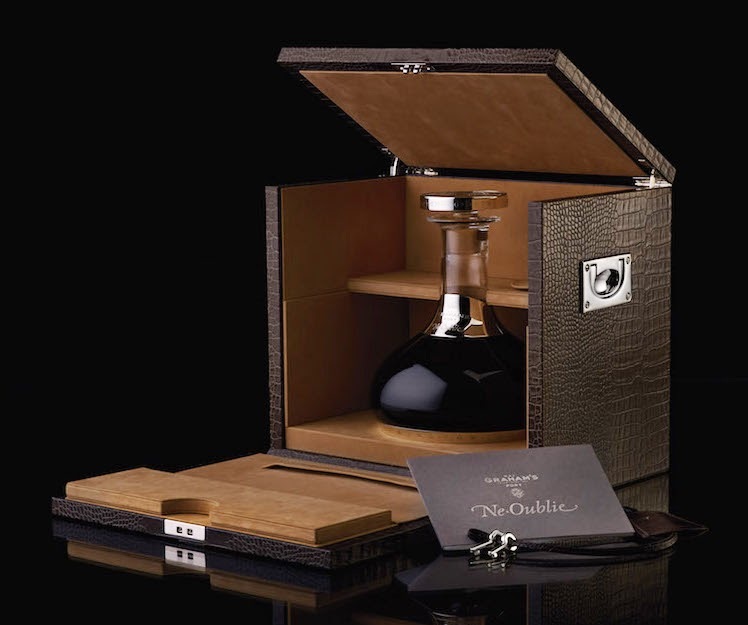 Finally, the bottle is presented in a handcrafted, lockable leather box made by one of the world’s oldest luxury leather goods companies, Smythson of Bond Street in London. The wine, together with the packaging and presentation, sums up the passion and dedication of Andrew James and the family. And how about the taste? The taste is as incredible as the story. Paul Symington, present chairman of Symington Family Estates, remarked that it is hard to imagine how four or five generations ago, in the conditions of the time, they could have made a wine better than most being made today, probably without electricity for instance. Because of the age, the wine is a dark brown colour with a greenish tinge at the rim. It is complex and rich with layers of aromas of marmalade, nuts, and herbs. Surprisingly fresh, the wine has a mellow mouth feel and an amazing length. Smelling and sipping the wine is like a glimpse into the family history. Although 656 bottles were released, only 655 bottles will be available as the family is keeping bottle number 1. Asked if the family expects buyers to drink the wine, Euan Mackay, Sales Director of Symington Family Estates who was presenting the wine, said, “The wine is certainly a collector’s must-have but the family is expecting the wine to be drunk and enjoyed, especially among friends and family who appreciate the passage of time and family heritage.” Well, I have to agree that enjoying the wine is surely the tribute that Andrew James would have liked to see. Only 25 bottles were allocated to Fine Vintage at HK$55,000/bottles. It is also available at Grahams’ Port Lodge at Oporto or via an online application list. And if you miss this chance, there are still those two remaining barrels in waiting…but you will have to wait until at least 2025. 2013 was a difficult year in Burgundy. Spring was wet and cold, resulting in poor flowering and thus a smaller crop. Summer finally arrived in June but a hailstorm in July devastated some vineyards between Meursault and Aloxe-Corton. September, the most important month for grape ripening, was excellent and balanced fruit with good potential began to develop, albeit in a much smaller crop. Unfortunately though, the weather turned progressively wetter and colder so those grapes harvested later had more rot than those harvested earlier. 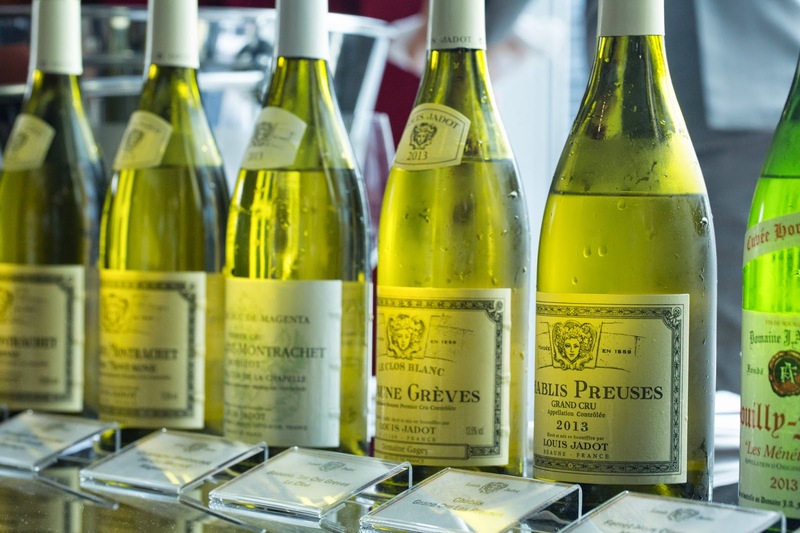 Chablis ‘Preuses’ Grand Cru (white): Elegant with pronounced minerality. I always like Chablis and this one certainly doesn’t disappoint. Volnay 1st Cru Clos de la Barre (red): Not sure if it would age well but no doubt enjoyable within the next three to five years. Moulin-à-Vent Clos du Grand Carquelin (red): Surprisingly good, fleshy but supported by fresh acidity. No doubt will beat a lot of Burgundies. Clos Vougeot Grand Cru (red): A masculine wine with depth, power and ageing potential. With more than 230 ha of vines in the region, Louis Jadot is one of the largest producers in Burgundy. Thibault Gegey, Deputy General Manager, said that wines from all appellations are being made pretty much the same way so the differences we can taste in the wines are attributable to the terroir—soil, vineyard facing and weather conditions. We have all heard this refrain so many times but it is always fascinating to taste wines side by side and see it for yourself. 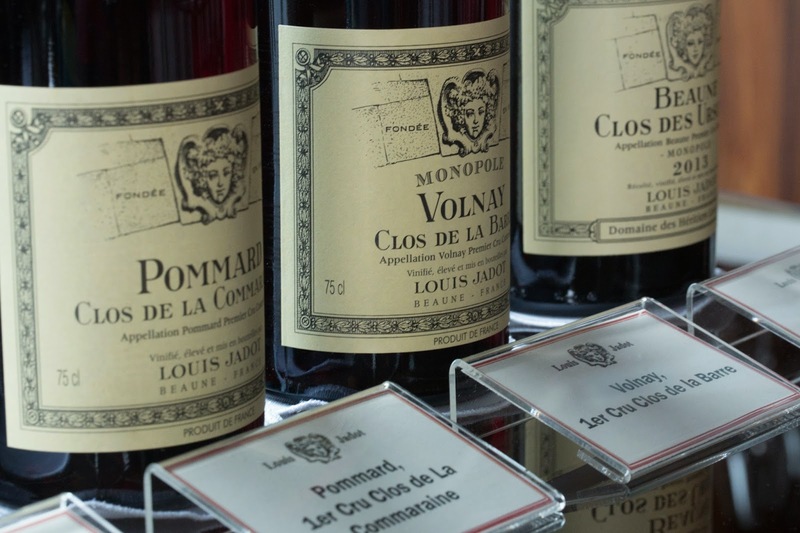 2013 Burgundies are unlikely be 100 point wines but, thanks to the winemakers, there will nevertheless be wine lovers, including myself, who appreciate their elegance and leaner style. Try some for yourself. Louis Jadot is available from ASC Fine Wines.